The Rails squared off against their long-time rival East on Thursday (12/15) and earned a close victory. 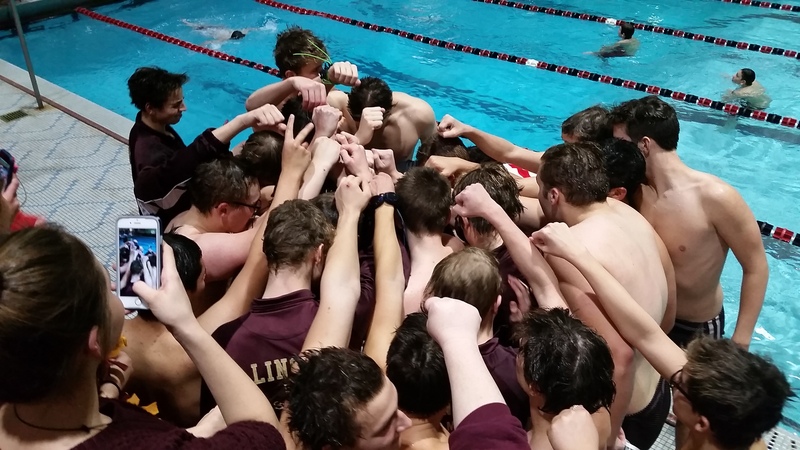 Both teams were ready for the close, competitive meet that rivalries frequently inspire. This meet was filled with a ton of best swims, some untapered bests, some season bests and some personal bests. With so many great performances, we can’t recognize everyone but below are some highlights from the meet. 400 Free Relay (Espinoza, Clark) took a commanding third place ensuring the win! The guys start their winter break training this coming week, focusing on getting into top shape for the last few weeks of season. In the meantime, there are no meets until January 5th.